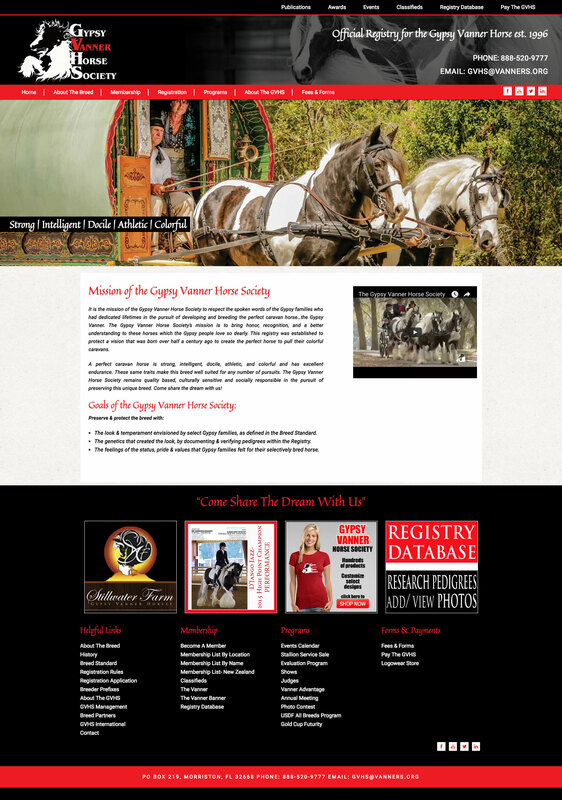 It is the mission of the Gypsy Vanner Horse Society to respect the spoken words of the Gypsy families who had dedicated lifetimes in the pursuit of developing and breeding the perfect caravan horse…the Gypsy Vanner. 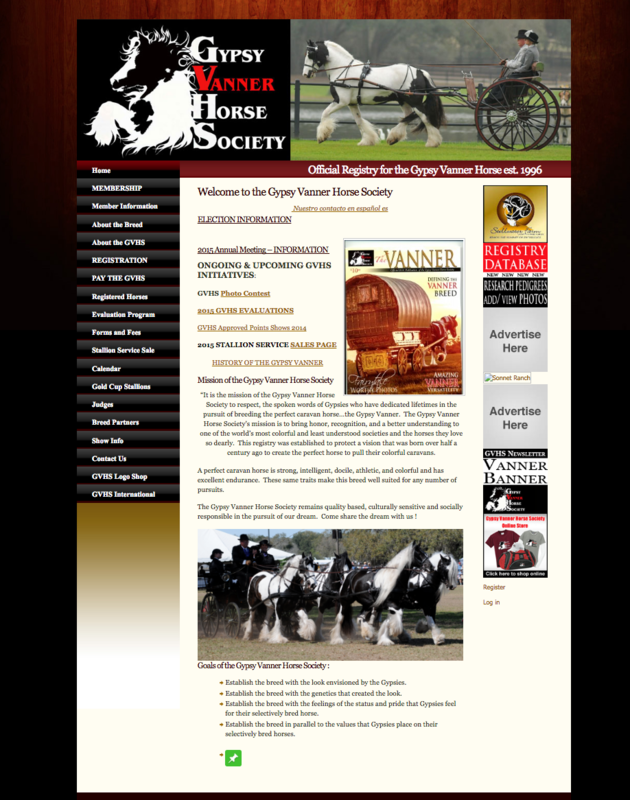 The Gypsy Vanner Horse Society’s mission is to bring honor, recognition, and a better understanding to these horses which the Gypsy people love so dearly. This registry was established to protect a vision that was born over half a century ago to create the perfect horse to pull their colorful caravans.